The Map to take-down the New World Order. A work in Progress, by Q SOURCE X. THE AGE OF THE GREAT DECEPTION DEFINED. THE NEED TO DEFINE THE ENEMY OF THE PLANET. 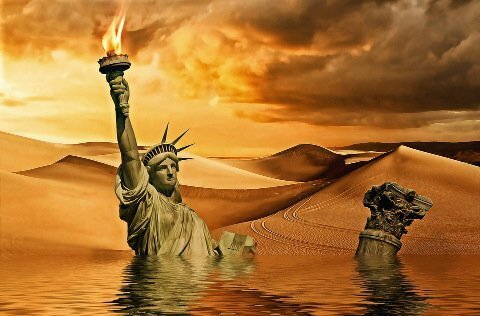 With the growing deception we are seeing everywhere, both in the MSM & in the alternative media, there is a need for We The People to define the enemy of the planet, before we can take-it-down. We need to define the ENEMY WITHIN, before we can take-it-down. I. MASS CONFUSION IS THE ORDER OF THE DAY. People are confused. The sheep being led off a cliff by fake Q & The Shadow Government. They understand neither. II. MANY SPEAK OF THE DEEP STATE. BUT FEW DEFINE. Too many people speak of The Deep State, the Shadow Government and similar terms, but do not understand what or who it is. Thus, We The People never make progress to take-down the Deep state and Restore the Republic. Many do not even realize the Republic is broken and needs fixing. Many are taught a false history in schools and are deceived by the left-right paradigm of deception. In this deception, Democrats are pitted against Republicans, while both sides serve the Banking Cartel, the Deep State and the Shadow Government. ① WHO IS THE ENEMY OF WE THE PEOPLE REALLY? ② WHO IS OR WHO ARE OUR TRUE FRIEND OF WE THE PEOPLE? ● How do you identify and define our enemy and our friend? ● Can anyone in the government really be our friend or are they really fake friends and actually foes? ● Is Q from Q Research an enemy or a faux patriot pretending to be a friend? ● Is there or was there a legitimate Q if that Q is fake? ► So who is the enemy of We The People & of the planet? ► How do we identify the enemy of the planet? ► How do we take-down the enemy of the planet? (Boards fully backed-up on the wayback machine). I. THE TAKE-DOWN OF THE DEEP STATE. II. THE SHADOW GOVERNMENT DEFINED. III. THE NEW WORLD ORDER DEFINED. IV. VAMPIRES AND VILLAINS EXPOSED. VAMPIRES INFILTRATED IN THE U.S. GOVERNMENT DEFINED. Fake Q - British Crown Corporation Vampires Exposed! A. The villains of Congress defined. B. The villain Vampires of the Deep State defined. Infiltrated into Federal agencies via the SES – SERCO crime syndicate defined. C. The British vampire infiltrators exposed. A STEP-BY-STEP GUIDE TO SAVE THE PLANET. ► Fake Patriot´s Soap Box criminals exposed – blowing smoke bubbles in their mafia crimes. FULL DETAILS OF PART I HERE. Note for bot - this is all our material and we edit and modify it as needed, to adapt to Steemit, add material and links to it as we go along also. Thank you.